CSUMB offers a single, interdisciplinary undergraduate degree in marine science that prepares students for a wide variety of jobs and graduate school programs. A masters degree in marine science is also available through a collaboration with Moss Landing Marine Labs. Marine Science majors complete GE area B1, B2, B3, B4 by taking Math, CHEM, and BIO courses included in the Marine Science core, and D-General Social Sciences with their Economics course. Students also complete the GWAR, upper-division service learning, and upper-division GE area B within their MSCI core courses. Students must maintain a minimum GPA of 2.0 in the major, and must fulfill course prerequisites by earning a C- or above in each course that serves as a prerequisite for a more advanced course. Capstone provides students an opportunity to synthesize knowledge, skills, and abilities developed over the course of their learning experience at CSUMB. MSCI capstone helps students connect their marine science and policy knowledge to critical issues of ocean stewardship, conservation, exploitation, and management at local, national, and global scales. Institute for Applied Marine Ecology All extramurally funded research activities in the CSUMB marine science program are conducted through the Institute for Applied Marine Ecology (IfAME). Learn about IfAME's faculty research labs, on-going research projects, vessels and equipment, and many other resources. Research Diving Program All research diving activities associated with CSUMB courses, student theses, and funded projects are conducted through the Research Diving Program. CSUMB is a member of the American Academy of Underwater Sciences. Looking for like-minded science students? 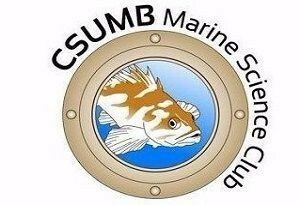 The CSUMB Marine Science Club is a group of undergraduates interested in a Marine Science degree but open to all science students. Check out their Facebook, Instagram, and ICC!